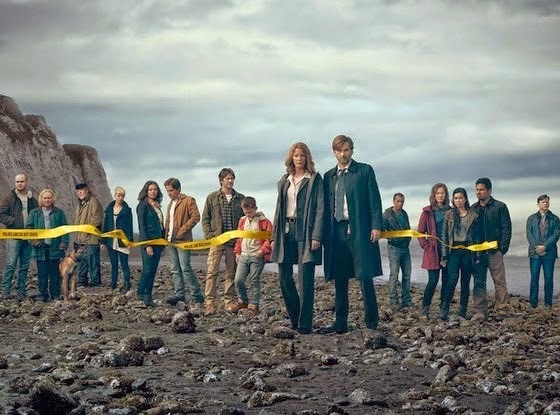 In this special podcast we look at the differences between ITV's Broadchurch and its Fox remake Gracepoint. From Tennant's performance, to the emotion of the piece, does this UK remake do justice to the original? Oh dear. A bit like Gracepoint itself, not sure this was really necessary as enough boots have been sunk into the show without the need to spend so much time on this. I doubt very much that it will ever find its way here given that it has been such a ratings and critical disaster in the US. I think we can safely say that no-one could honestly have thought this would turn out ok, but perhaps it is now time for further ridiculing of this unfortunate Programme to be put to rest and for the schadenfreude over watching Mr Tennant's American career go up in smoke to cease. Leave the poor man some dignity, because he sure as heck left most of it on that beach on Vancouver Island! I recently purchased Broadchurch on iTunes because I heard great things about it. I watched it over a period of 2 weeks and also watched 2 episodes of Gracepoint during that time. I will keep watching Gracepoint but at this time I definitely prefer Broadchurch. I didn't get caught up in the frenzy of viewing Broadchurch live, so my expectations were not out of whack. I completely enjoyed the reveal of the murderer's identity. I think that is because I was invested in the characters on the show (same opinion of LOST finale and Breaking Bad finale). I wanted to know what happened to characters on the show. It was great to find your podcasts on Broadchurch and I enjoyed listening to them after I finished the finale. Here in the states, HBO did a show called True Detective that received a great deal of critical acclaim. I also watched that recently and was pleased with the finale (I won't say why just in case you ever get to watch it). HBO is planning another season of True Detective but with a different cast. Time will tell if they should have left it alone. The oneness of the show may have been part of the success of the show. I will have to make it a point to not pay attention to any media on season 2 of Broadchurch. I assume that is still in the works. Time will tell if making another, I should have called it a series, was a good idea.